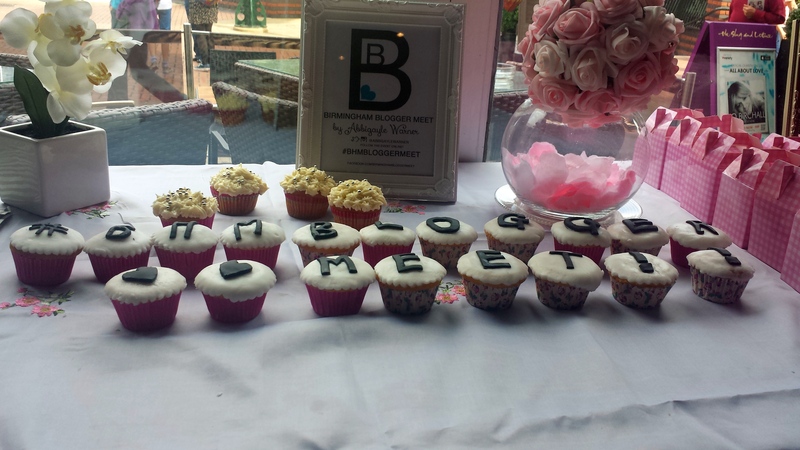 On Sunday I attended the Birmingham Blogger Event organised by the Fabulous Abbigayle Warner. It was held in the Slug and Lettuce, over at Brindley Place where we had a nice little corner to ourselves to get up to all sorts! Prior to the event, myself and a few other bloggers met outside Primark for a spot of shopping and a coffee before heading over to the venue. Window Shopping is not my forte, and I came away with a lovely pair of boots from Dune (full review coming soon!) but managed to stay away from the lure of Primark. Once we arrived at the Slug and Lettuce we received our name badges and goody bags and were all seated ready to play some games and find out a bit about the other bloggers. 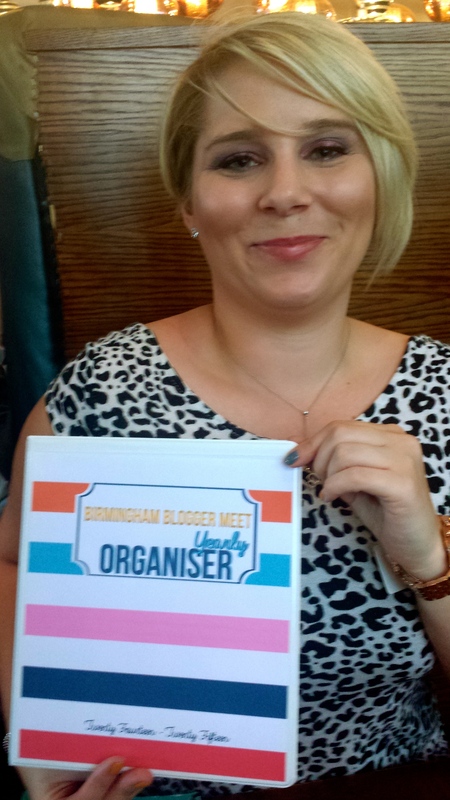 Abbigayle had made us all these amazing organisers, which must have taken ages, to assist us with our blogging and the first task was to take a picture of ourselves with our folders and post them on instagram. Next, Abbigayle had put a different picture on each of our name badges which releated to a different question for us to answer, such as if you could, would you blog full-time, where do you see your blog in 5 years and what motivates you to blog, which gave us an insight in the lives of other bloggers. We then had a cupcake each, with which we were to think up a catchy phrase for, relating to the cupcake on a flag, take a photo and post it on to instagram and the one with the most inventive and cutest phrase won a prize! Plus we all got to eat the cupcakes, which were scrummy! a cupcake this cute must be calorie free, right? There were plenty of chances to chat to the other bloggers there, which was really nice as I love meeting the people behind the blogs I read. A brand Ambassador for Motives, talked us through some of their best selling products and passed them around for us to have a look. Motives is a brand I’ve not heard of before but definitely want to discover more and try some of their products. I have my eye on their eyeshadow palette! We then had a make-up demonstration from the ladies at the Central School of Make-up who showed us all that million dollar question, how to get that perfect eyeliner flick! But, like all professionals they made it look so easy, and like all things practice makes perfect! I plan to allocate an hour and lots of eye make-up remover very soon! Then there were some more interactive games, which I took part in and won a fantastic prize – so stay tuned for the news on that! Then it was time for the food! And you know me and food! 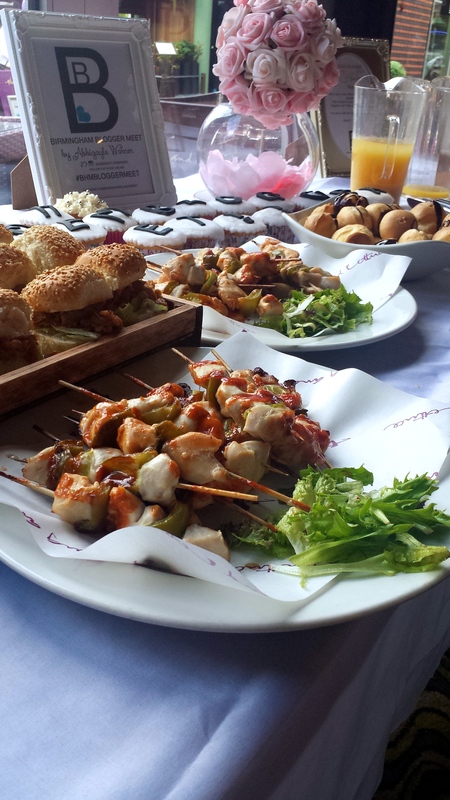 The buffet that Abbigayle had chosen was rather lovely and very tasty! I think I speak to quite a few of the bloggers there, that we all ate far too many carbs and were all ready to go into a food coma! The event was well organised and so much fun! 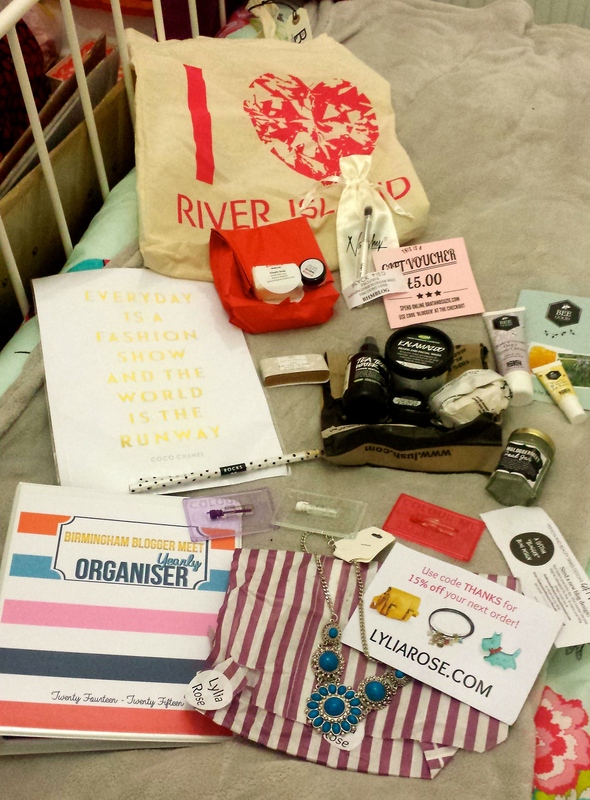 I can’t wait to discover the goodies from by goody bag!! It was lovely seeing you too!! !